Escape Reality has thrilling escape room entertainment with differently themed rooms. Escape Reality is quickly becoming Las Vegas’s premier escape room experience with themed rooms that blow the competition out of the water. Focused on creating the most real life scenarios imaginable, find your inner warrior unleashed as you race against the clock to escape dynamic and dramatic situations. Escape rooms attractions provides the ultimate thrilling experiences for interactive entertainment. It gets your heart pumping and your pulse racing in a battle of wits that pits survival down to the wire. Slay your inner doubts by overcoming challenging scenarios in “uber-real rooms” that force you to solve puzzles. You’ll learn how to become a hero and defeat the imminent threats in your current reality. 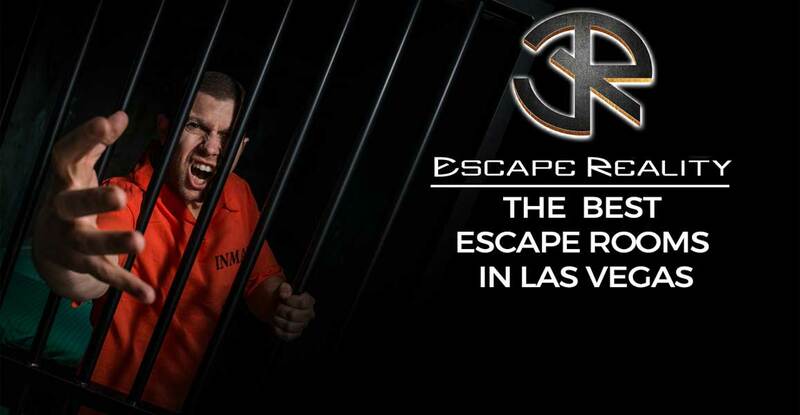 Whether you are a first-time player or a seasoned pro, Escape Reality is host to the best escape rooms that Vegas has to offer. With impressive technology and stellar effects, they pride themselves on delivering great customer service and a thoroughly enjoyable experience from start to finish. What makes Escape Reality different from other escape room places? They feature seven differently themed rooms that will transport you to another reality. In “District Zero,” in an unforgiving world where you must fight to the death in an arena, so look out Katniss Everdeen, this is the real deal. Game of Thrones fans will rejoice in the “Iron Kingdom” experience in a world of kingdoms and battle where dragon folklore lives. “Jungala” which gives you the chance to enter into a Jumanji- like game and be transported into a world that defies mother nature. The notorious Alcatraz was a federal penitentiary that housed the most dangerous criminals known to man and is synonymous with being captured. Therefore, trying to escape from the “Alcatraz” room must be an impossibly difficult task, sans the shark in the surrounding waters. “Down the Rabbit Hole” recreates the illusions of what it must’ve been like when Alice fell into the realm of a mad hatters tea party while threatened by the intolerable Red Queen. With locations thoroughly the UK, Escape Reality has landed in the US with their imaginative and thrilling take on escape room entertainment. Also in Chicago, their newest location in Las Vegas, they’ve taken it to a whole other level in terms of interactive entertainment. Put together a team of two to six of your most dependable friends in order to help you achieve the goal in under 60 minutes. You may be the leader or commander in charge, so it’s your job to make sure everyone on the team makes it out alive and can escape the reality!